NIAF’s fourth annual Photo Contest asked photographers, amateurs and professionals, to submit images that best captured “An Italian Moment.” Over the one month in which entries were accepted, NIAF received more than 120 remarkable images that once again raised the benchmark for quality in our annual Photo Contest. When the contest deadline arrived, our judges began the hard task of choosing the top six photos out of 26 semi-finalists, considering technical quality and composition, and expressing the contest theme. Ultimately, judges had to choose a Grand Prize winner and five Second Place winners. The Grand Prize: NIAF is proud to host the winner and a guest at its 41th Anniversary Weekend Gala on October 14-15, including round-trip flights, a two-night stay at the Washington Marriott Wardman Park Hotel, and tickets for all Gala events. All winners will receive one-year NIAF Associate Memberships. 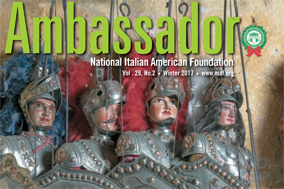 The winning photos will be displayed at the Expo Italiana during NIAF’s Gala Weekend as well as published in NIAF’s social media pages and in the upcoming winter issue of Ambassador magazine. Stay tuned for the NIAF 2017 Photo Contest to be announced next Summer! 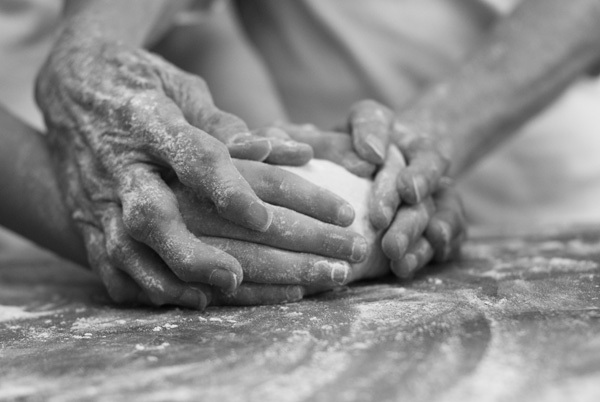 Italian moments are defined by the crevices in my grandmother’s hands — hands that know skill and hard work. They gently guide those of my sister so that she will carry on tradition. As time moves forward in modernity, we relish in the comfort of heritage. The photo was shot on September 17, 2016, in my grandmother’s home in Mullins, S.C., where the essence of Italy exists: Tradition and its power to shape one generation to the generations that follow. A moment is usually defined as a brief instant in time. 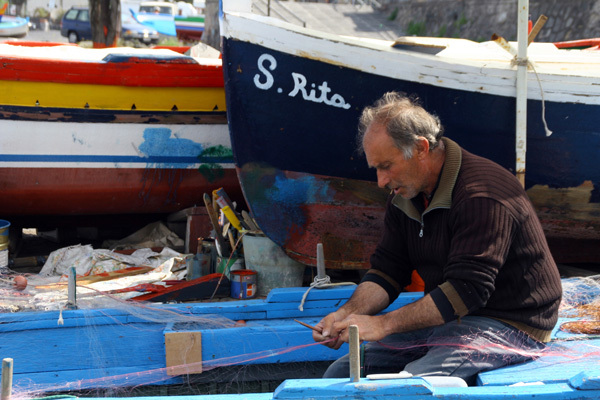 However, this fisherman in Acitrezza, Italy, is repairing his nets in the same fashion as when Giovanni Verga penned his extraordinary novel “I Malavoglia” with this village as the backdrop. Much of Sicilian life has not changed. Moments can often be eternal. 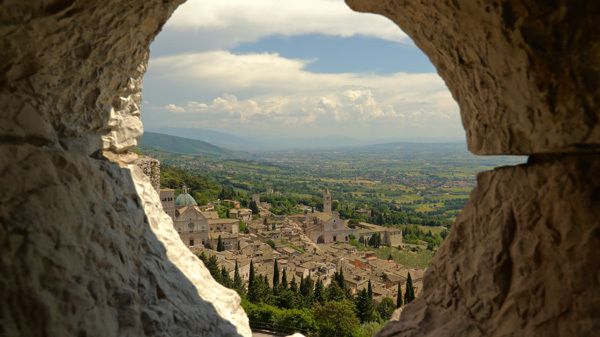 The incredible city of Assisi, in the summer of 2015, taken from the Rocca Maggiore leaving the circular stone window to offer a unique perspective. This photo contains some of my favorite qualities about Italy, the city with its beautiful churches, the historic stone fortress, and the incredible hillside landscape with picturesque clouds that seems to always be floating over Umbria. memories, since many nonna’s who mastered this art are no longer with us. 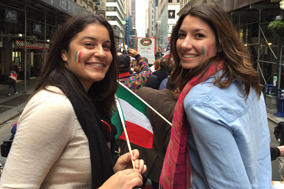 I hope my photo inspires younger generations of Italian Americans to experiment with this classic Italian tradition. 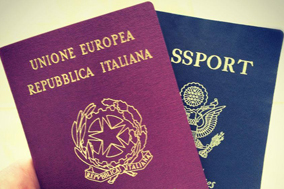 Ecco la sposa! Who doesn’t love a wedding? 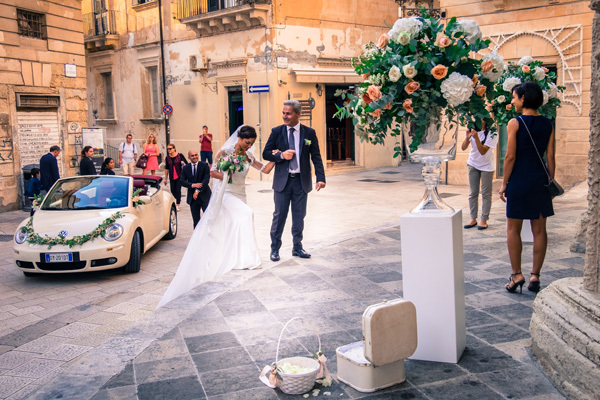 This street scene depicts a memorable Italian moment as the bride and her father arrive at the church. The photo was taken on September 14, 2016, in the historic district of Lecce (Puglia), Italy. 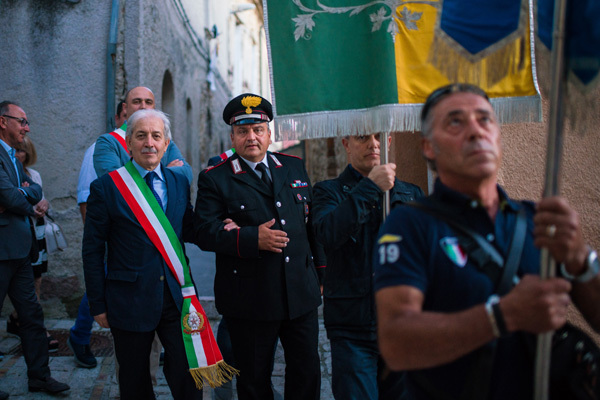 Photographed on August 10, 2016: The mayor of Busso, Angelo Colaneri, walks proudly alongside the local Carabinieri Marshal during the procession of San Lorenzo, patron saint of their town in the province of Campobasso, Molise. 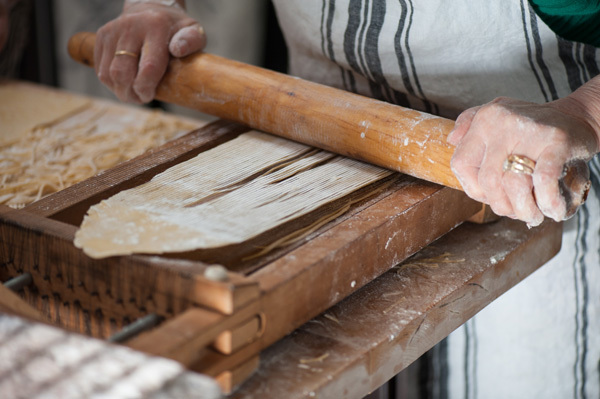 Molise, the smallest region in southern Italy, is still bound together by the culinary, religious and folkloric traditions that are part of their day-to-day life. 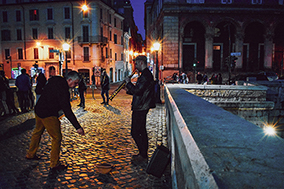 Often overlooked and rarely visited by outsiders, it remains a truly authentic voice of Italian pride and culture in the 21st century.